Because pets need first aid too. Register today to learn pet first aid! 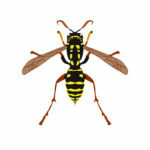 Insects stings such as bees, wasps, or other flying or crawling insects. The first thing you need to ensure is that you are not hurt by what hurt them. Also, your pet may act out of character since they may be scared and in pain. You may also need to contact your vet since a severe allergic reaction can occur called anaphylactic shock. This can cause the throat to swell up, restricting or stopping breathing. This is the same condition that you may have heard about when some children or adults eat nuts or are allergic to bee stings. Any insect can sting your pet; the areas that they are stung will depend on the breed. For example, long-haired animals are more likely to be stung on their face or legs. If you have a short haired pet (which includes many small dogs, cats and other small pets) they can be affected on any part of their body. When an animal gets stung in the face, this can cause excessive swelling. The first concern is to establish if the animal is breathing. It is common for dogs to get stung in the mouth since they snap at the insect, then get stung in the mouth or lips. It is not always easy to see the exact site of the sting, but the swelling that can occur can be frightening. If you think your pet has been stung, inspect them carefully and slowly to find out if you can see the sting. 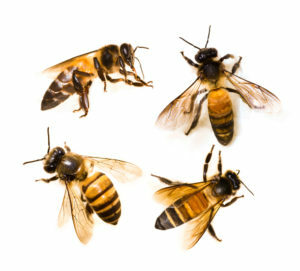 Bee stings are different than other insects since they leave the stinger in the body. This will need to be removed by scraping from the base with something like a credit card. If you pull the stinger out, you may force more toxins into the body, or the stinger may break, making it more difficult to remove. If you scrape it from the bottom, you can remove the stinger safely.